We’re happy to announce the availability of Single Sign-On for ftrack Enterprise plans. This service enables you to access applications using a common authentication mechanism. Say goodbye to writing your username and password on a Post-it note. With SSO, users can access all of their cloud applications by signing-in one time for all services. As a user, keeping track of login credentials for multiple services is always a hassle, they’re easy to forget – especially if they’re considered “strong”. This is where SSO (Single Sign-On) techniques come in to save the day. With SSO it’s possible to authenticate users in one place, and then automatically log into all services that are configured with your provider. For Administrators, it’s incredibly useful because all services and accounts can be managed in one central location. To log in to your ftrack account users have previously been able to use a traditional username and password or use synchronised accounts through a Microsoft Active Directory (AD) or Lightweight Directory Access Protocol (LDAP) service. ftrack now introduces SAML-based SSO as a way of authentication and creating new Accounts. 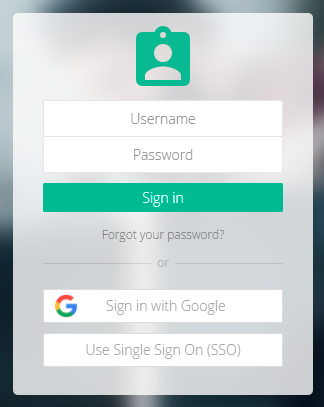 If ftrack is configured with an authenticated provider you will be able to use Single Sign-On on the login page. If you don’t already have an account, it will be created for you. Authentication through SSO (most SAML-based SSO providers will be supported) will be released in December 2017 and made available to all customers on the Enterprise plan. You can follow our step-by-step guide to get SSO with ftrack setup.